Geriatrician Mamta Singh is now accepting new patients at the Windham Hospital HealthCenter at 5 Founders St., Suite 100 in Willimantic. Her areas of interest include geriatric consultation, preventive health, cognitive decline in older adults, dementia, behavioral disturbances in advanced dementia, fall assessment, multiple morbidity and functional losses late in life; and arthritis, polypharmacy, osteoporosis, urinary incontinence and age-related frailty. Dr. Singh says it’s important for patients and family members to know when it’s time for an older loved one to begin seeing a geriatrician. “If you are elderly and feel that you suffer from chronic, complex medical conditions, including social, psychological or physical concerns, or if you feel you could benefit from a geriatrics consultation to discuss functioning and quality of life, consider seeing a geriatrician,” said Singh. Geriatricians take a more holistic approach, they monitor patients’ chronic conditions by watching for any changes in function and treating these conditions keeping in mind the goal of improving function, Singh said. 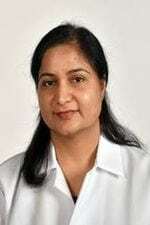 Dr. Singh earned her medical degree from Jawaharlal Nehru Medical College (Aligarh, India), served residencies in Internal Medicine at the University of Connecticut and Anesthesiology at Jawaharlal Nehru Medical College (Aligarh, India) and a fellowship in Geriatrics at the University of Connecticut. To connect with Dr. Singh, call 860.423.9764.